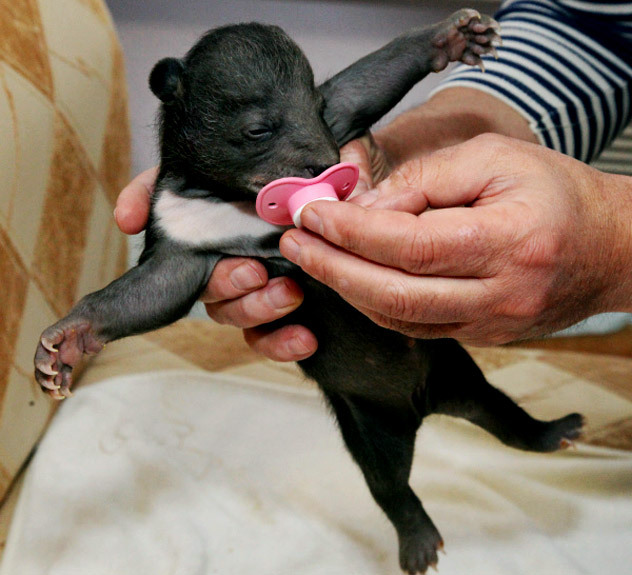 Two Asian black bear cubs found in Primorye Territory. One of the two Asian black bear cubs found in a den by gamekeepers. Their mother was killed by poachers.